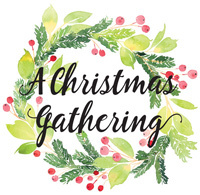 Tickets for A Community Christmas Gathering, hosted by EveryDay Ministry go on sale Monday, October 1, 2018 online. Last Day for online ticket sales will be November 12, 2018. A Community Christmas Gathering hosted by EveryDay Ministry is November 15 & 16, 2018. If you buy your tickets online, they will be mailed to you within one week of purchase. Store opens at 1:00 p.m. Event seating opens at 5:30 p.m.
1. When is the 2018 Community Christmas Gathering? 2. Where will the event be held? We understand that some GPS directions might not work, here are directions. 3. Who sponsors this event? 4. Will food be served? A light dinner will be served. You will be able to take it to your seat. If you think a light dinner will not be enough, we suggest eating before you head out for the evening. Coffee, tea and water will be served throughout the evening. 5. When will I be able to shop? Your ticket is good for early shopping Thursday and/or Friday. The store opens at 1:00 PM. 6. What time can I get in to choose my seat for the event? Event Seating Opens at 5:30 PM. All seating is general admission. 7. What time does the program begin & end? The program begins at 6:30 PM. Ending time varies. 8. What is the ticket price? Tickets are $30 plus a $2 service charge when purchased online. No service charge will be added if purchased at The Plaid Pineapple warehouse. 9. Where can I purchase tickets? To purchase in person, The Plaid Pineapple warehouse – 8230 E 111th Pl. S. Unit D Bixby, OK 74008. Next Monthly Market is Oct 11-13. We will be open Thursday evening 5-8PM and Friday and Saturday 10 AM – 5 PM. 10. If I purchase my ticket online, how will I receive it? Tickets purchased online will be mailed within one week of purchase to the address provided. There will be no Will Call the night of the event. 11. What if I can’t attend after purchasing a ticket? Due to the nature of the event, there will be no refunds or exchanges. Your ticket is good for the night of the event only. If you are able to send the ticket with a friend, they can pick up your giveaways, otherwise, your ticket is expired. 12. Are there other events scheduled this year? Yes, click here to see if A Christmas Gathering is hosted by a church near you. 13. What if I have a question that isn’t answered here?